Baby Boys Tee & Shorts Just $5.99 Each At Kohl's! You are here: Home / Great Deals / Baby Boys Tee & Shorts Just $5.99 Each At Kohl’s! 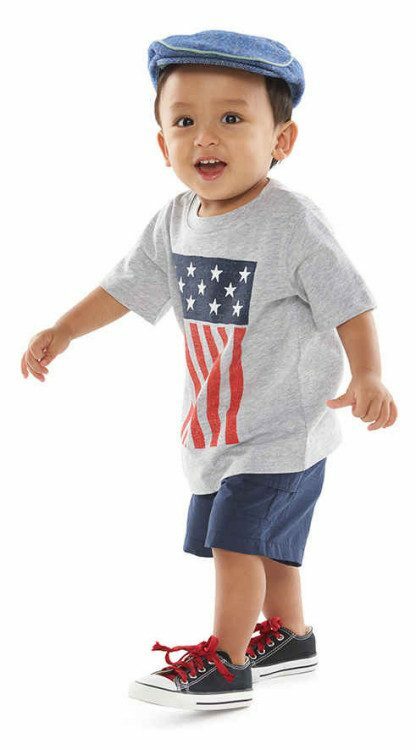 Baby Boys Tee & Shorts Just $5.99 Each At Kohl’s! I believe that this could be the cutest little guy in America! Evidenced by his snappy hat and stylin’ shoes, this guy also has fashion savvy! He got the American Flag Tee and Solid Canvas Shorts by Jumping Beans for just $5.99 each at Kohls! See other cute outfits for baby boys and girls at Kohl’s!